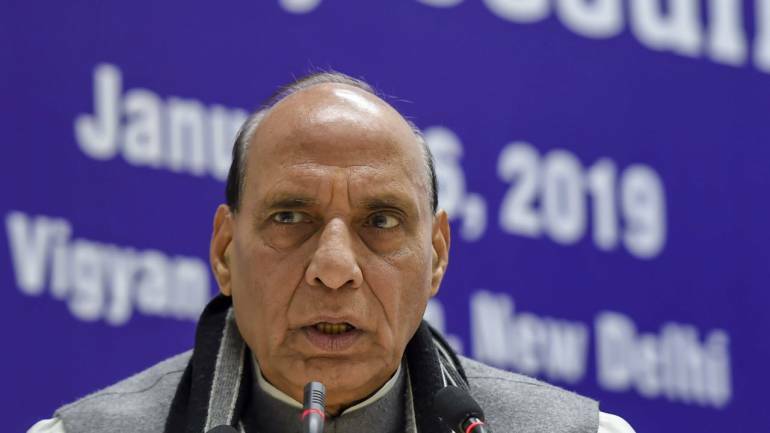 Home Minister Rajnath Singh on Wednesday reviewed the security situation in the country, especially along the border with Pakistan, a day after Indian fighter jets bombed the biggest camp of terror group Jaish-e-Mohammad in that country, officials said. The pre-dawn operation described as “non-military” and “preemptive” struck a five-star resort style camp on a hilltop forest that provided a dozen Mirage 2000 fighter jets of the Indian Air Force(IAF) with a “sitting duck target” and caught the terrorists in their sleep, sources said. The strike is the first by the IAF inside Pakistan after the 1971 war. Foreign Secretary Vijay Gokhale told the media that the “intelligence-led operation” on the Pakistan-based terror group’s biggest training camp in Balakot became “absolutely necessary” as it was planning more suicide attacks in India, after the February 14 attack on a CRPF convoy in Pulwama in which 40 soldiers were killed. The JeM claimed responsibility for the Pulwama strike.